Oscar Fingal O'Flahertie Wills Wilde (16 October 1854 - 30 November 1900) was an Irish playwright, novelist, essayist, and poet. After writing in different forms throughout the 1880s, he became one of London's most popular playwrights in the early 1890s. He is remembered for his epigrams, his novel The Picture of Dorian Gray, his plays, as well as the circumstances of his imprisonment and early death. Wilde's parents were successful Anglo-Irish Dublin intellectuals. He became known for his involvement in the rising philosophy of aestheticism, led by two of his tutors, Walter Pater and John Ruskin. As a spokesman for aestheticism, he tried his hand at various literary activities: he published a book of poems, lectured in the United States and Canada on the new "English Renaissance in Art," and then returned to London where he worked prolifically as a journalist. Known for his biting wit, flamboyant dress and glittering conversation, Wilde became one of the best-known personalities of his day. The Picture of Dorian Gray (1890). The opportunity to construct aesthetic details precisely, and combine them with larger social themes, drew Wilde to write drama. He wrote Salome (1891) in French in Paris but it was refused a licence for England due to the absolute prohibition of Biblical subjects on the English stage. Unperturbed, Wilde produced four society comedies in the early 1890s, which made him one of the most successful playwrights of late Victorian London. At the height of his fame and success, while his masterpiece, The Importance of Being Earnest (1895), was still on stage in London, Wilde had the Marquess of Queensberry prosecuted for libel. 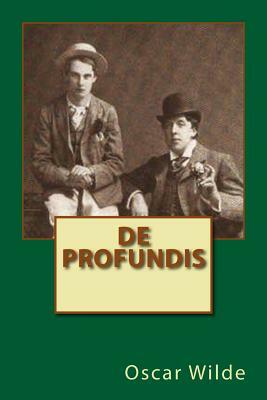 The Marquess was the father of Wilde's lover, Lord Alfred Douglas. The charge carried a penalty of up to two years in prison. The trial unearthed evidence that caused Wilde to drop his charges and led to his own arrest and trial for gross indecency with men. After two more trials he was convicted and imprisoned for two years' hard labour. In 1897, in prison, he wrote De Profundis, which was published in 1905, a long letter which discusses his spiritual journey through his trials, forming a dark counterpoint to his earlier philosophy of pleasure. There he wrote his last work, The Ballad of Reading Gaol (1898), a long poem commemorating the harsh rhythms of prison life. He died destitute in Paris at the age of 46.